And we are already in December. Can’t believe it. This awful year is actually finish. 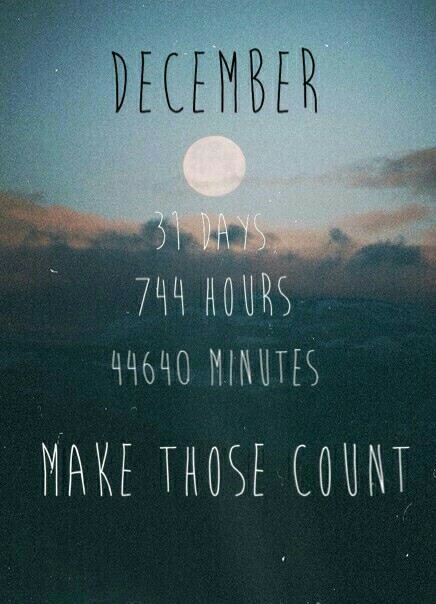 Only 31 days left. I have this feeling that I will be pay off from 2014, that 2015 will be my year. I love December, it always have been my favorite month: the christmas atmosphere, family, food, laughs, gifts, love, the promise of a new year and loads loads of happiness. Lately, I’ve found out myself thinking about last december. I was really happy like I’ve never been. And maybe it was even the last time that I was actually happy, I think it was the 27th of December 2013, when I was coming back to London and I actually wanted to come back for the first time, I wasn’t feeling bad leaving my life in Rome again, I was just waiting for that plane to land because I would have been soon with the people that I thought I’d could trust. I remember that day so clearly and everything that I felt. And this year? 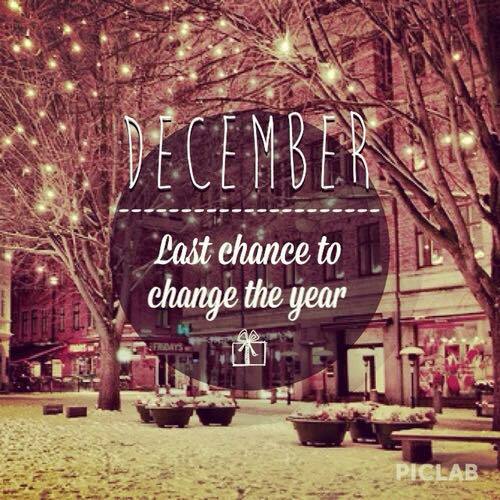 Actually December is turning to be a good month, maybe it’d be, as always, the best month of this unlucky year. I have already got so many good news like my mom and dad are planning to come visit me in 2015, I am so happy for that. Then, I had some good news at work too. Finger crossed everybody. Aaaah don’t you love December? God, I love this month. It’s never wrong. I love the music. I love Christmas (more since I am in London, because it means coming back to my family). I love snow. I love hot chocolate (and now that I work in Starbucks it’d be amazing). I love peppermint mocha. 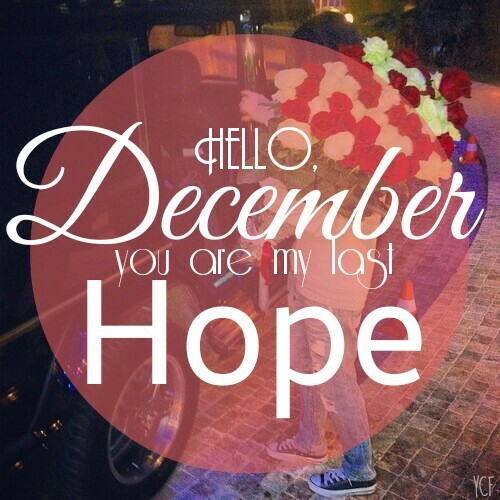 Even Taylor Swift sings about December (and it’s my favorite song!). So I had an idea, if you wrote your resolution last year, don’t open it on 2015, open it NOW and make them happen. You still got a month. Do it. Or do you wanna have other regrets to add in your list? A few years ago, I’ve even started to write a letter to my future self every year and it’s so nice because you can see how you changed. So just open them, read them and make them happen like in the movie “New Year’s Eve” when Zac Efron helps Michelle Pfeiffer with her resolutions and make them happens on the last day. Just do it. Do something that will make you feel good and don’t live with regrets. If I’ve learned something from the past year is that life is too short and things changed from one hour to another. I am scared of everything. I am afraid of nothing. To who left me behind.